Never lose a bookmark or your place in a book again! These wonderful bookmarks clip over a page and will hold in place due to being magnetic. Each pack contains information about the artist and artwork. 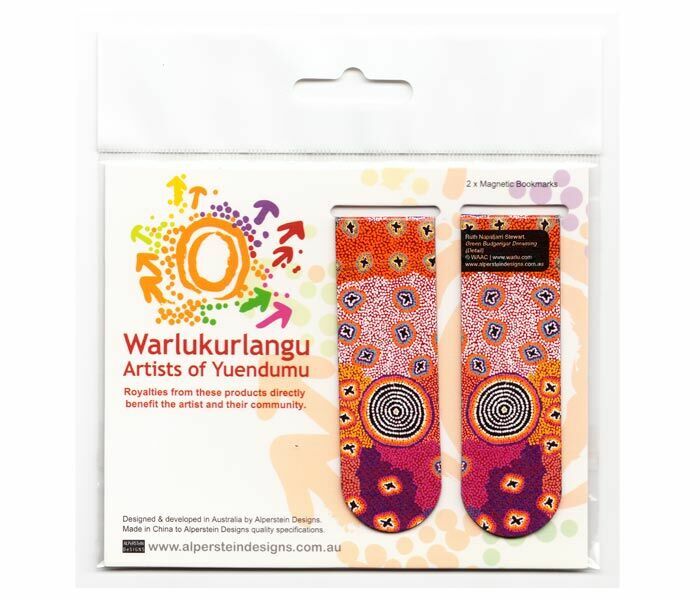 The art is based on artwork from the Artists of Yuendumu.